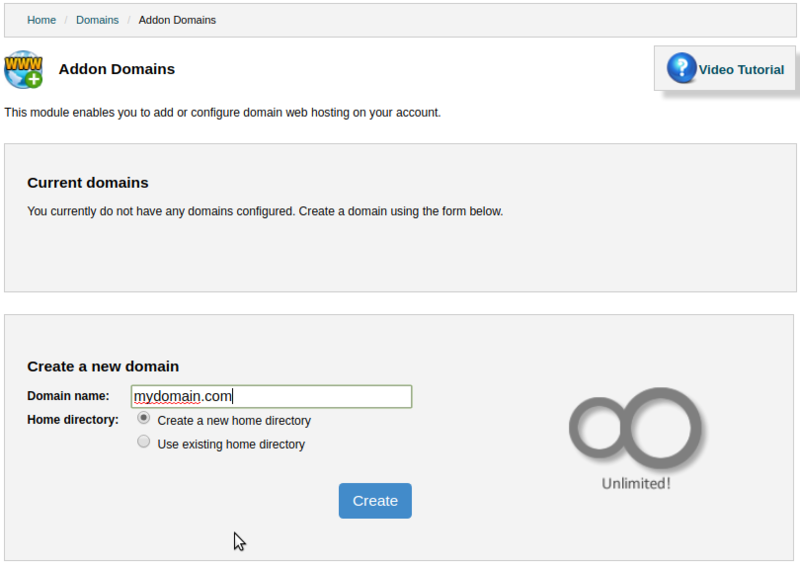 Addon domain is a secondary domain which can be found within primary domain account in HR Panel. The functionality of an addon domain name is it allows you to essentially create additional hosting services, websites, within the same HR panel as your primary domain. This means you can create multiple websites, email addresses and email forwarders under a single HR panel but on separate domain names without having to pay additional monthly fees for multiple web accounts. 1. When you add an addon domain to a hosting account, you are saving money because you don’t need to sign up for another web account. The same hosting package you have can host more websites depending on what it limits you to. Actually, this is the biggest advantage of using addon domains. 2. This is useful if you operate, or plan on creating, more than 1 website that only has minimal traffic and may not require an entire cheap web hosting India service to itself. >>> First you need to enter a domain hosting and select a home directory, you can select either Create a new home directory or Use existing home directory as per your convenience. Or you can also you can also use an existing home directory for your new add-on domain name. You can even use Manual Config where you can set the path of your directory which you want to display on your website. >>> When you wish to cancel the Addon-domain simply click on delete. It will ask for the confirmation for the same. Once you confirm it, it will be deleted. >>> Now that you have deleted your addon domain. You can see no Addon-domain will be left.